I say work in progress. Still, they’re mine, and I’m proud. This plant, after all, was dead. Dead. And now look. It’s the horticultural version of Lazarus. I should sell tickets. Or start a cult. Or maybe just make a sauce. 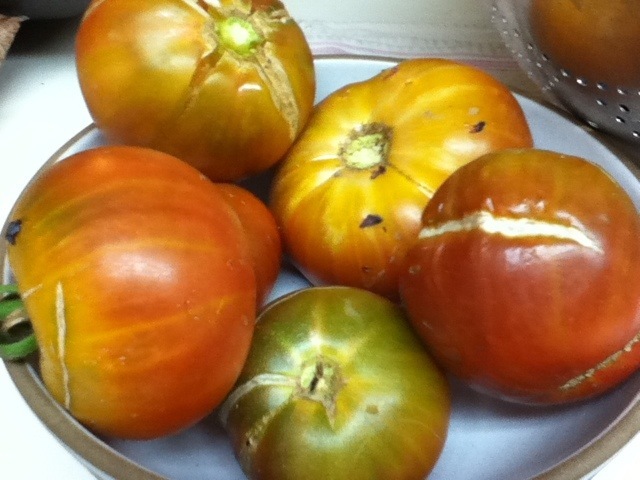 This entry was posted in Garden and tagged heirloom tomatoes on August 24, 2012 by thumbstumbler.